In 2013, the Iowa Court of Appeals entered a decision in the Staley v. Barkalow case, which involved a group of various tenants who affirmatively sued their landlord over the content of their lease agreements. In the case, the plaintiff, Brooke Staley, and other tenants alleged that a large number of provisions within their leases were unlawful, i.e., violated the Iowa Code, and sought damages. In response, the landlord argued that she had not enforced any of the allegedly unlawful provisions against the tenants, and thus, the tenants had not been harmed or damaged by such provisions. Conversely, the tenants argued that a landlord’s mere inclusion of unlawful provisions within a lease agreement does constitute “use” of such rental agreement under the statute and, therefore, a landlord has violated the law notwithstanding any lack of enforcement, thereby entitling the tenants to damages and payment of their attorney’s fees. Thereafter, in 2014 and 2015, the Iowa Court of Appeals (in Amor v. Houser), as well as several district courts, rendered similar decisions. Specifically, those courts ruled that certain landlords had violated Iowa law by their mere inclusion of various unenforceable provisions within their leases; those courts ruled that numerous lease provisions, including many commonly used provisions, were unlawful under one or more of the following bases: (1)a lease provision cannot extinguish or limit, in any way, a landlord’s statutory or other legal duties; (2) a landlord can only charge its actual repair costs and can charge only for items that are “beyond normal wear and tear resulting from a deliberate or negligent act of a tenant, or tenant knowingly permit[ting] it”; and (3) generally speaking, a landlord can only pass along fines and other amounts to tenants if such amounts equate to the landlord’s actual and out-of-pocket costs. The clear implication to all residential Iowa landlords is that they should carefully review their leases and Rules and Regulations to ensure they contain no unlawful provisions. 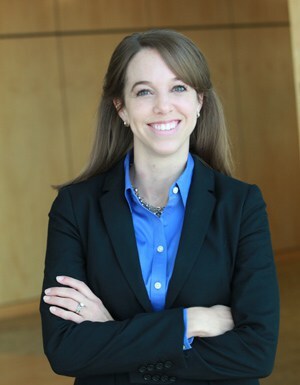 Jodie McDougal is an Iowa Landlord-Tenant Lawyer, Iowa Construction Law Attorney, and Litigation Attorney at the Davis Brown Law Firm. In her real estate and construction law work, Jodie has represented apartment and other residential landlords, landlords of manufacturing housing / mobile home communities, commercial landlords and tenants, real estate buyers and sellers, and construction contractors and subcontractors. The American Apartment Owners Association provides tenant screening background checks nationwide. Looking for a tenant screening report in a state other than Iowa? Visit our Tenant Screening Background Checks page to learn more.